Founded in 1975, CMP has grown to become the largest private facility, though Punta Pacifica appears to rapidly approaching on their heels. They have several well-established international health insurance programs and the hallways were well populated with English-speaking visitors and patients. The hospital has community outreach and health promotion classes as well as a 64 slice CT scanner, MRI and other diagnostic capabilities. Website is attractive, and well-designed with English and Spanish versions. There are two facilities for Hospital San Fernando; a Panama City facility and another facility in Coronado. The Panama city facility is one of two Panamanian facilities accredited by Joint Commission International. This is a private facility designed to entice foreign visitors and upwardly mobile Panamanians. Website with English language version that includes price quotes for International travelers. Website is well-designed and easy to navigate. Webpage with English and Spanish versions, and has been designed for international travellers. However, the overall quality of the website is poor. Information has been poorly laid out and is often mischaracterized. For example, visitors to the site who are seeking information about individual physicians are transferred to a poorly typed resume-style pdf. Physician specialties are mislabeled; with cardiologists listed as surgeons, which may cause confusion for potential patients. Hospital Punta Pacifica was accredited by Joint Commission International in September of 2011. Hospital Punta Pacifica’s main claim to fame, as it were, is that it is John Hopkins International branded facility. As such, it is aggressively marketed as a medical tourism destination. It is located in downtown Panama City, just a kilometer from the CMP (Centro Medico Paitilla). 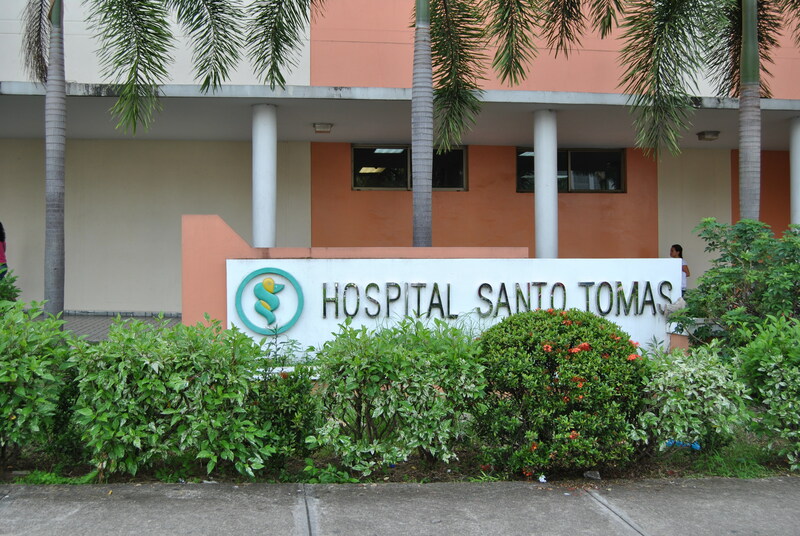 Hospital San Tomas is the oldest public hospital in Panama. Originally started as a small facility for impoverished women in September of 1702, the hospital has grown over the last 300 years to become the largest hospital in the country. The hospital now offers multiple service lines including surgical specialties such as thoracic surgery, plastic surgery and general surgery, among others. The campus includes separate facilities (Maternity hospital, children’s hospital), a blood bank and Cancer center. Blue Cross Blue Shield of Panama – one of the international arms of the Blue Cross Blue Shield insurance company, and just one of the many insurances accepted at most Panamanian facilities. What’s this about free insurance for tourists to Panama? In one of their more effective (and dramatic) public relations gestures, the Panamanian government widely advertises “Free medical insurance for the visitors”. This catastrophic policy covers all visitors during the first thirty days of their stay for accidents and injuries (up to $7000.00) that may occur during a stay in Panama. Visitors just need to show their passports on arrival to one of the participating medical facilities. This entry was posted in Panama and tagged central america, Centro Medico Paitillo, Free medical insurance in Panama, Hospital San Tomas, hospitals in Panama City, latin america, medical reviews, Medical Tourism, Punto Pacifico Panama, tourism, travel, unbiased review of doctors. Bookmark the permalink.